Sumo wrestling games are an extremely popular sport in the Japanese culture. This form of wrestling involves two opponents, and each one of them is trying to force the other out of a circular ring called a Dohyo. They can also win by forcing the other to touch the ground with any part of their body other then the soles of their feet. Many people are familiar with sumo wrestling, but few are knowledgeable about the many rules of this sport. Let us look at how one of Japan's favorite pastimes is played. Anyone who plays a professional sport knows that it is not all fun and games. There is a large amount of discipline that comes along with the lifestyle you are choosing when you sign on. 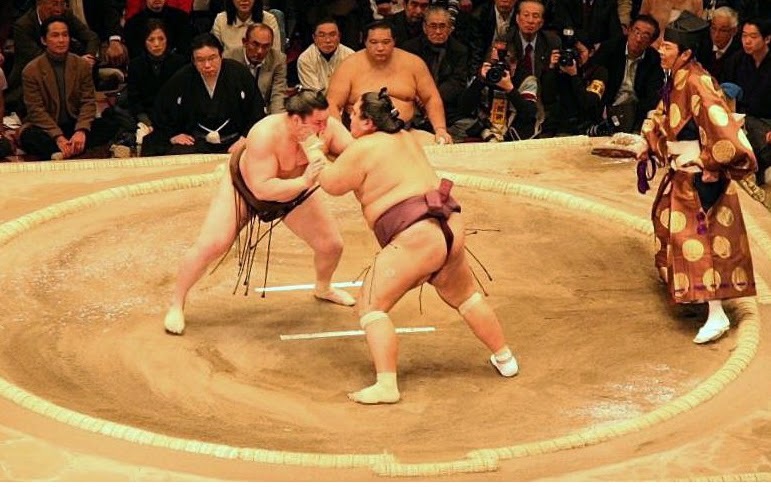 Sumo wrestling is a great example of how choosing to play a certain sport can mean choosing to live a very different life then your average person. There are many rules the wrestlers have to abide daily. We will take a look at someone of these rules to get a better understanding of what it takes to be a professional sumo wrestler. The Sumo Association are in control of the rules in which its athletes must follow in order to participate in the games. There are many rules that are almost on the edge of ridiculousness, such as the fact that wrestlers are banned from driving their own cars due to the possibility of a serious accident. Others are to uphold the dignity and respect of the sport, such as the fact that the wrestlers are expected to grow their hair out long enough to form the trademark topknot or wear certain clothes in public so they can be identified. Each player has a certain rank and the rank they achieve depends on many different things. However, their rank is what determines the rules in which they need to follow. Each rank is required to wear distinct outfits, allowed to wear their hair in distinctive ways, allowed to get up at different hours of the morning to train, and the chores that they are responsible for depend on the rank that they are. Breaking the rules can result in fines and in some cases suspension. 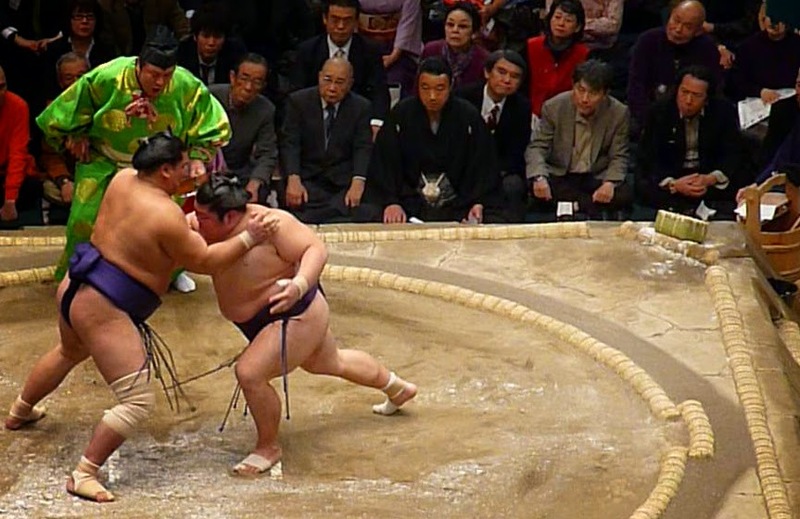 In order to participate in sumo wrestling games one would have to be able to practice self-control and discipline. This is very obvious in their diet plan and while many people know that the wrestlers have to gain weight purposely in order to participate, they do not understand that there is still a strict diet plan. There are many distinctive restrictions on the pro wrestler's diet and here are just a few of the many different rules the athletes must follow. They cannot eat breakfast because it is mandatory that they train on an empty stomach.So while breakfast is the most important meal of the day to many people they intentionally skip it. Many times when they need to gain weight quickly they will take required naps after eating. This is one of the biggest secrets to gaining weight as your metabolism slows down while you are sleeping. The wrestlers eat many big meals a day, and it is important that they eat with someone else as studies have shown that we eat more when we are in the company of another person. There are many other rules and diet restrictions they must follow such as what types of foods, they need to eat a lot of. Sumo wrestling games may seem like a very easy sport. You eat all day long, gain weight, sleep a lot, and then push your opponent out of a circular ring. However, there is so much more to a wrestler's lifestyle that people do not know about. They follow an extremely strict regiment of training and eating daily. There is no denying that there is a reason sumo wrestling is a well-respected sport in Japanese culture.